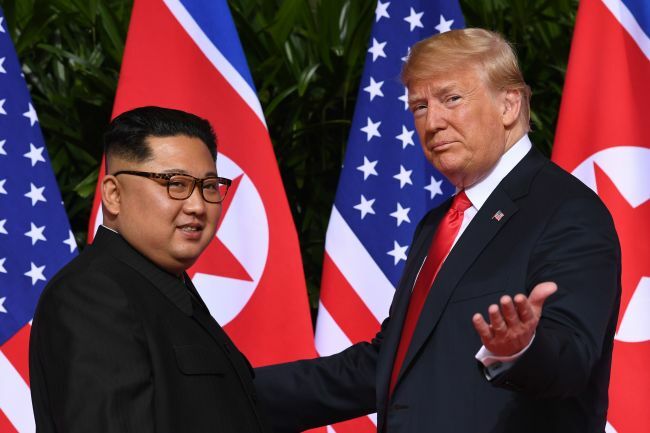 Vietnam has expressed interest in hosting the second US-North Korea summit, while high-level officials of the two countries were confirmed to have visited Vietnam recently, according to news reports. High-ranking Vietnamese officials delivered such intent to the South Korean government, CNN reported, citing a South Korean government source. Mark Lambert, the acting US deputy assistant secretary of state for East Asian and Pacific affairs, recently visited Vietnam, Yonhap News Agency reported citing a diplomatic source, although it is unclear whether the trip was linked to planning for the second summit. Lambert mainly handles issues on the Korean Peninsula. North Korean Foreign Minister Ri Yong-ho also visited Vietnam for four days from Nov. 29. Ri met with Vietnam’s Prime Minister Nguyen Xuan Phuc and held talks with the country’s Deputy Prime Minister and Foreign Minister Pham Binh Minh. Trump said early this month he expects the second summit to take place in January or February at one of three locations that he did not disclose. Vietnam has been mentioned in the media as a potential venue for the envisioned summit, along with Mongolia and Indonesia. The Communist parties of Vietnam and North Korea have mostly maintained a close relationship, however those relations soured as Pyongyang was confirmed to have used a Vietnamese national in the murder of Kim’s half brother Kim Jong-nam in February last year. North Korean officials informally expressed their regret to Vietnam that a Vietnamese national had been charged in the killing of Kim. Mongolia is another country that has diplomatic ties with North Korea. Ri and Lambert have separately visited Mongolia recently as well. Mongolian President Khaltmaagiin Battulga invited Kim Jong-un to make an official visit to his country in a letter to the North Korean leader in October. As for the more important agenda of denuclearization for the second summit talks, however, there has been little or no progress between Washington and Pyongyang. After high-level talks between the two countries were called off last month, Pyongyang has remained silent on Washington’s demands for consultations.